Are you visiting Pitlochry for business or pleasure, come and stay at Roseburn Bed & Breakfast. Our bed and breakfast is situated in the heart of Pitlochry, Perthshire and is the first choice for many in search of a local B&B. No matter if you’re staying with us for a night or a week, we’re here to ensure that you have the best possible time. Avoid disappointment and be sure to make Roseburn Bed & Breakfast your first port of call. Simply call our B&B today to check our availability and to make your booking with us. Our luxurious B&B is the place to be for affordable accommodation in Pitlochry and the surrounding areas. With breathtaking views surrounding our bed and breakfast, we’re confident in saying that you’ll fall in love with this area of Perthshire. As a local bed and breakfast, we love everything about Pitlochry and the local attractions this place has to offer. So, come and enjoy a relaxing break with us and we’ll take care of your every need! All our rooms are kept clean and tidy at all times. This not only ensures that you have a comfortable stay with us, but it maintains our excellent reputation for B&Bs in Pitlochry. 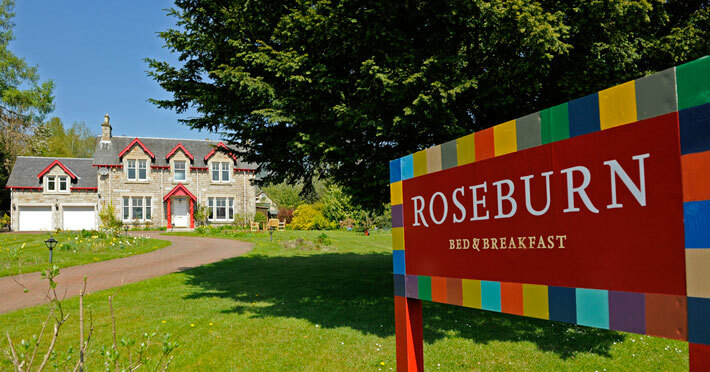 With a vast range of facilities on site, Roseburn Bed & Breakfast is by far the place to stay for bed and breakfasts in Pitlochry, Perthshire. 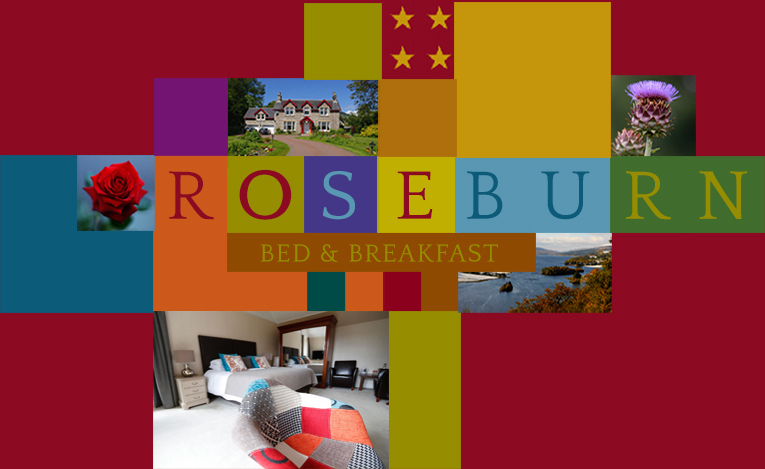 For more information on our B&B or to book your stay, please contact the team at Roseburn Bed & Breakfast today. We’re here for you when it comes to finding a bed and breakfast. Regardless of whether you’re coming to stay as a family or alone, Roseburn Bed & Breakfast will take care of your every need. Our team at Roseburn Bed & Breakfast will always do our best to ensure that you have a pleasant and warming stay. And it’s no surprise in saying that we have guests return to our B&B time and time again. 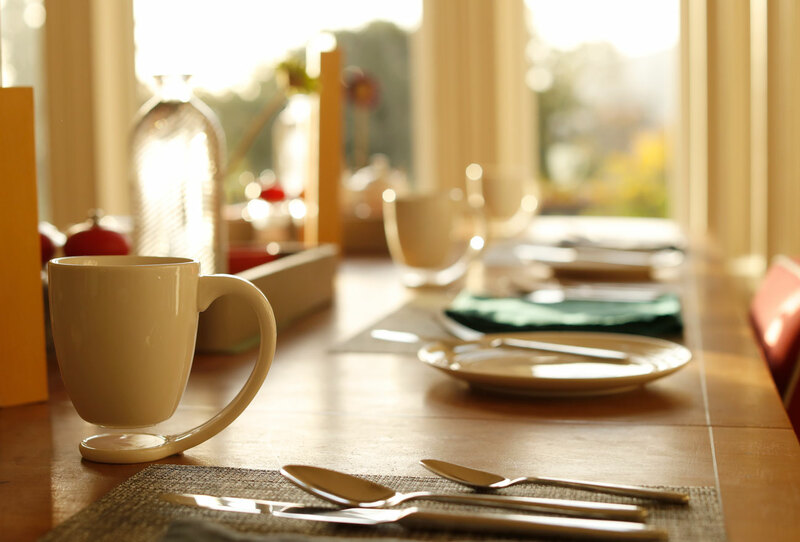 Enjoy a delicious, fresh breakfast each morning you stay with us and choose from a selection of breakfasts at our B&B. With meals available that are cooked to order, we’re here to ensure you’re your stay is as relaxing as possible. Forget the days of spending over the odds on your Pitlochry accommodation and book your break at Roseburn Bed & Breakfast today. We pride ourselves on our cheap bed and breakfast that isn’t compromised by quality. If you’re planning a stay in Pitlochry, Perthshire, be sure to come and stay with us at Roseburn Bed & Breakfast. Having been open for business for many years now, Roseburn Bed & Breakfast are the first choice for those looking to stay in Pitlochry. Be it a weekend break to Pitlochry or a longer visit, Roseburn Bed & Breakfast have the solution to help cover your accommodation. Simply call Roseburn Bed & Breakfast today to discuss our availability and confirm your bookings. From here, a member of our team will be happy to help in any way possible.